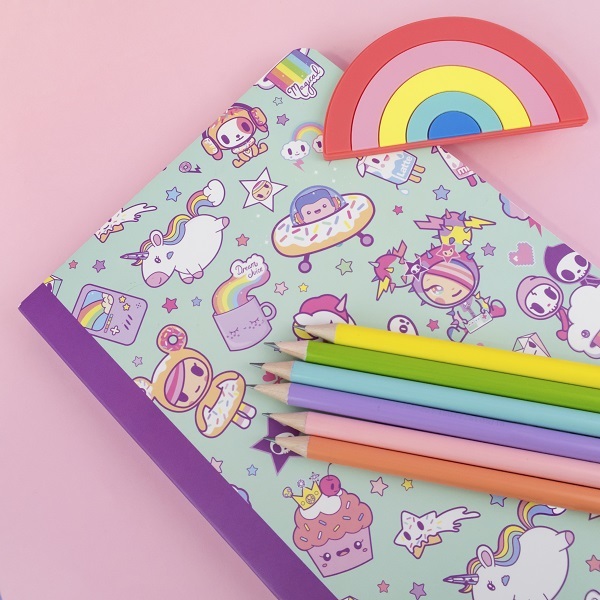 This entire collection is a dream come true, and all dreams have to start somewhere. 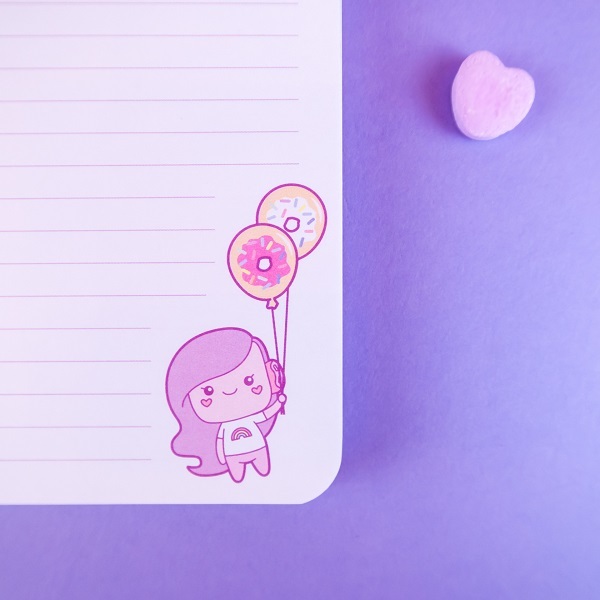 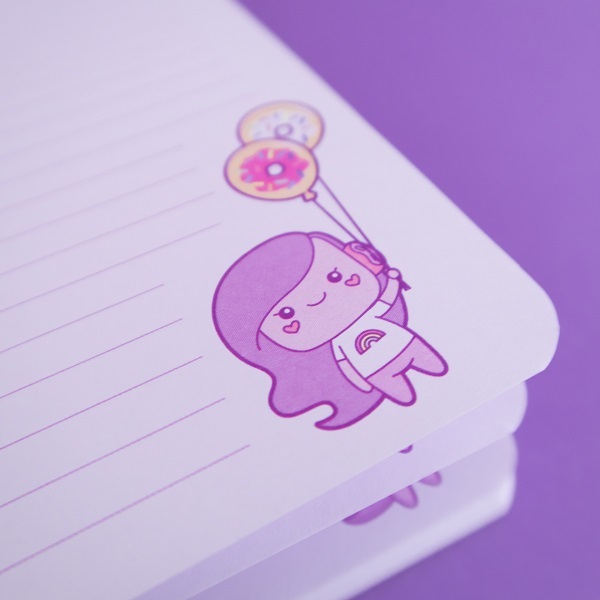 Start writing yours in this darling notebook! 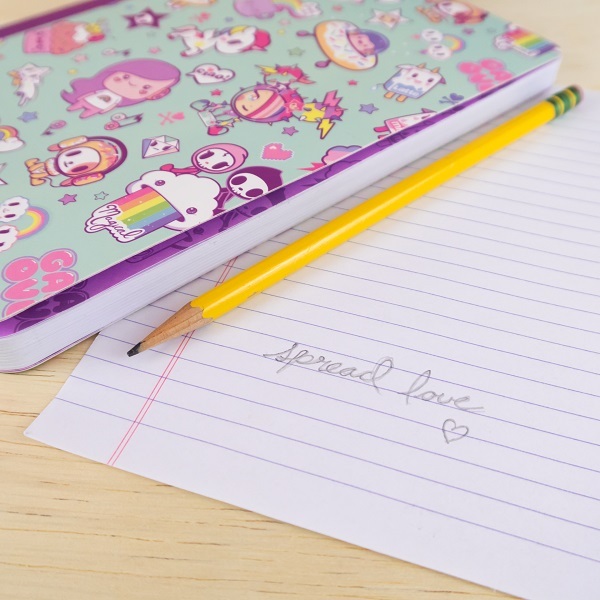 Perfect for school or just doodling your thoughts! 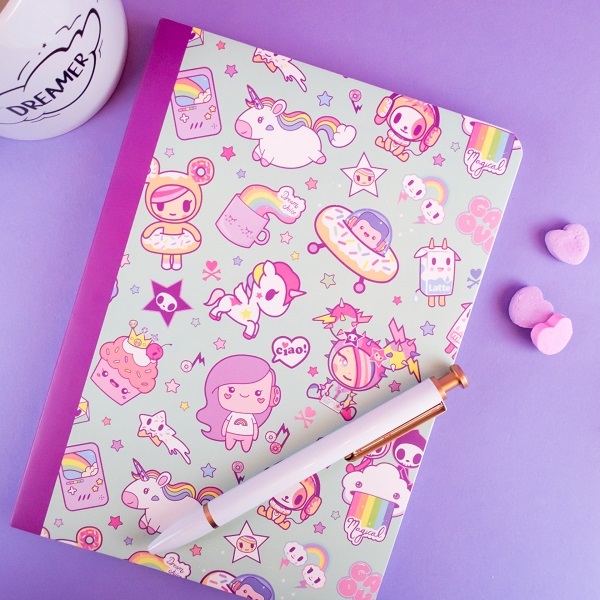 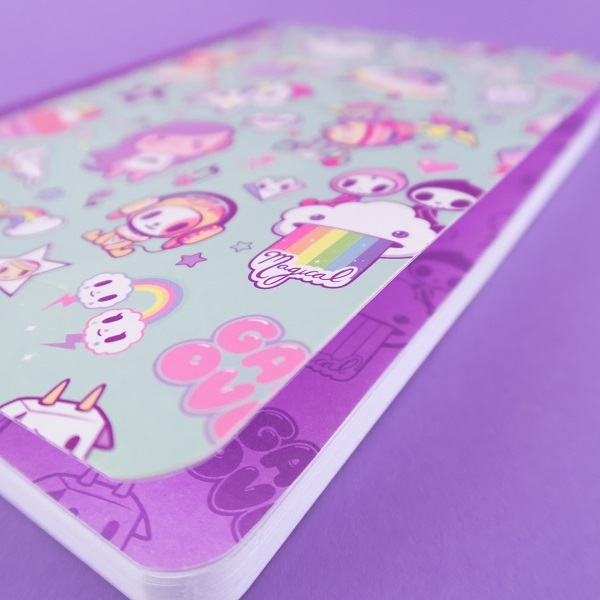 Lined soft cover notebook featuring tokidoki x iHasCupquake!